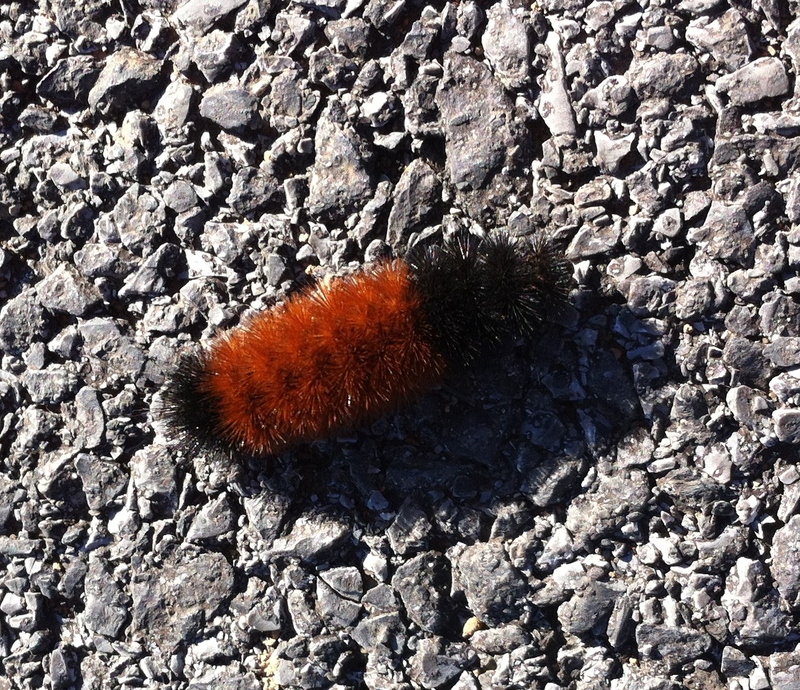 Wooly Bear Caterpillars are supposed to predict how bad the coming winter will be. I’m not exactly sure how they are supposed to predict bad weather, but I it has something to do with what percentage of their bodies are brown and what percentage is black. All I really know is that I’ve been seeing a significant number of Wooly Bear Caterpillars during the past few weeks, and the only thing their appearance has predicted to me is the seasons are changing.is the changing season. But there is something incredibly comforting in that. No matter what the past year has brought, the caterpillars are a symbol that life goes on. They are also a reminder that even though life may not go on in the way that we hope or want, it will still go on. Posted on October 27, 2013, in Family, My life, perspective and tagged 365 reasons to smile, caterpillars, life, musings, nature, seasons, smiles. Bookmark the permalink. 79 Comments.